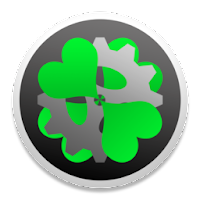 Clover EFI Bootloader can boot OS X, Windows, and Linux on Mac or PC with UEFI or BIOS firmware. Boot OS X, Windows, and Linux in UEFI or legacy mode on Mac or PC with UEFI or BIOS firmware Boot using UEFI firmware directly or CloverEFI UEFI firmware emulation Customizable GUI including themes, icons, fonts, background images, animations, and mouse pointers. but please provide as much information and evidence as possible.